A legacy of an empire and a nation at war, Letters from the Front is a collection of correspondence sent by British and Commonwealth troops from the front line of war to their loved ones at home. Poignant expressions of love, hope and fear sit alongside amusing anecdotes, grumbles about rations and thoughtful reflections, eloquently revealing how, despite the passage of time, the experiences of the fighting man are shared in countless wars and battles across history. 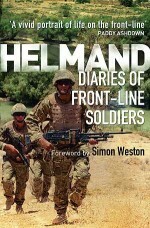 From the muddy trenches of the Somme through the frozen ground of the Falklands to the heat and dust of Afghanistan today, these letters are the ordinary soldier's testament to life on the front line. Andrew Roberts is the author of Masters and Commanders: How Four Titans Won the War in the West (which won the International Churchill Society Book Award) and A History of the English-Speaking Peoples since 1900 (which won the Intercollegiate Studies Institute Book Award). His other books include Napoleon and Wellington, Eminent Chuchillians and Salisbury, which won the Wolfson History Prize. His latest book, The Storm of War: A New History of the Second World War, won the British Army Military Book of the Year for 2010. A Fellow of the Royal Society of Literature, he holds a PhD in History from Cambridge University.Many of the photos in this book come from the Imperial War Museum's huge collections which cover all aspects of conflict involving Britain and the Commonwealth since the start of the twentieth century.